Between the unrelenting anguish of current events and the exhaustion of moving into a new house, this has been a sparse year here at Mainlining Christmas. I still wanted to take a moment to thank you for sharing the season with us. This year we looked at more than 70 movies, episodes, and specials that spanned 69 years. 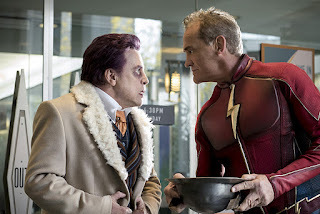 They included everything from lesser-known classics, to shows we had watched in years past, to new specials and episodes that were just released. We'll continue to post sporadic updates about holiday-ish media in the off-season, so make sure you're following us on Facebook or RSS to keep updated. And we'll be back next year, so long as civilization doesn't collapse. If it does, you're welcome at our fireside for some post-apocalyptic carol singing. In the meantime, I wish for all of you health and strength in the face of dark times, and may you each have love to keep you warm. Despite going on for four abysmal seasons and spawning numerous spin-offs, the Bradys only seemed to produce two holiday-themed installments: this and the 1988 made-for-TV movie, A Very Brady Christmas, which we sat through two years ago. That means as soon as this article is over, we'll be free of the Bradys forever. What I'm saying is Christmas miracles do exist. Which is actually the thesis of this crappy episode. The premise centers around Carol Brady getting laryngitis right before the holidays. This is devastating to her, because she's supposed to sing "O Come All Ye Faithful" at church on Christmas. Just so we're clear, there's no, "because if she doesn't an orphanage will close" coming. The sum total of the stakes at play are that she won't get to sing like she wants to if she doesn't get better. That's it. This new special based on the classic children’s book is a sweet, simple celebration of multiculturalism. It’s really targeted at young kids and those patient enough to watch with them, but it was pleasant enough for us to watch sans children. It follows Peter through his adventures on a snow-filled afternoon. 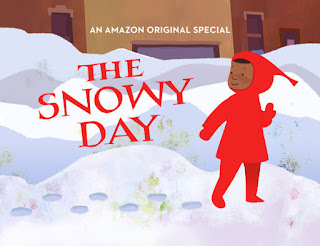 He wakes up to discover the huge piles of snow, and after snowman pancakes for breakfast (a new tradition, his mother points out) he heads out on a quest down the block to his grandmother’s apartment. He encounters many denizens of the block, including shopkeepers and shoppers, friends and relations. Everyone is kind and friendly, even if some of them don’t have time to play in the snow. Erin pointed out that this feels like it comes from the same place as some earlier Sesame Street: it’s an idealized version of New York City, where every nationality, race, religion, age, etc. lives together in harmony. 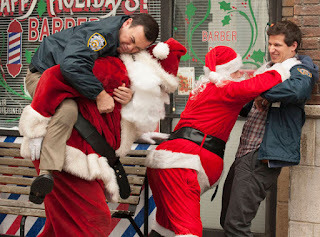 Three years ago, I put together a list of the all-time best Christmas movies: five films meant to represent the absolute best of their respective genres. I stand by the concept and remain proud of what's on there. I've seen a lot more movies in the past three years, and I wanted to revisit and update it where appropriate. Luckily the format I used lends itself nicely to this. Last time, I presented my picks for the two best installments in each genre and let them fight it out until a winner emerged and claimed the prize. Well... here comes a new challenger. At the end of this, we're going to be left with two lists: a revised top five and an expanded top 15. 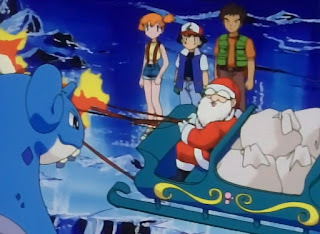 Yes, there’s a Christmas episode of Pokémon. Don’t blame yourself if you didn’t know, though. This episode is actually a little challenging to get your hands on in America. It was dubbed and aired with the original run, but not much since. The episode opens with Jessie of Team Rocket pretending to be asleep until a snare net goes off, trapping Santa, who had been coming in through the window. Of course, this was a test run, and “Santa” was actually James. Jessie is pleased how well her trap works, and indulges in a brief flashback to being a bratty child, waiting for Santa, only to have a Jynx Pokémon dressed as Santa come in and steal her favorite doll. Meanwhile, Ash and friends are on the beach when they spot a Jynx, holding a boot. 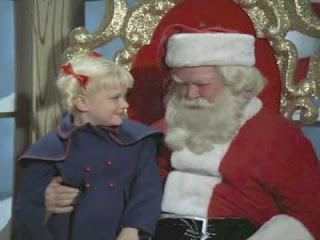 There's an article up on comingsoon.net offering a brief look at a handful of Christmas horror movies. It's a good read with some interesting insights into the sub-genre, but it doesn't really delve into the origins. Instead, it points out the more horrific aspects of modern Christmas, which are of course worth exploring. 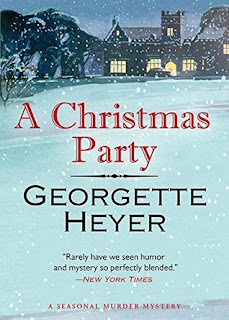 But it got me thinking about the depth of horror as it relates to Christmas, and I wanted to dig in a little deeper. Over the last century or so, pop-culture and entertainment has mainly embraced the funny and whimsical aspects of Christmas, leaving things like horror seeming subversive. It hasn't helped matters that the vast majority of Christmas horror has been extremely campy, giving the genre the sense it's trying to mock or parody the season from the outside. All but one of the movies the article I linked to above fits that mold (the exception being Black Christmas). A light dusting of snow lay scattered across the street. Rare for December, but not unheard of. The bitter cold, though, that was something else. In all his years in Silver Falls, Clemont had never known a Christmas Eve like this. No. That wasn’t quite true. He’d known one. He shook off the thought and stepped towards the building. Between the wind and drinking and just the overall strangeness of it all, Clemont wasn’t seeing clearly. His eyes ached, and he strained to try and see the sign clearly. It slowly came into focus: “Sheriff Wanted,” it said. But he already knew that - he’d been the one to paint those letters on, one by one. And he’d been the one to lean it against the office. Someone else had boarded up the windows and door. 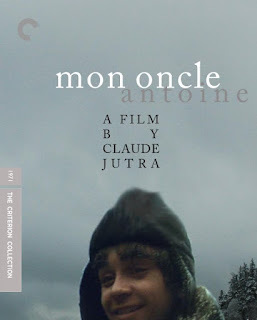 Apparently, Mon oncle Antoine is considered one of the best Canadian films ever produced. Honestly, I lack anywhere near enough cultural background to offer an informed opinion on that claim. For what it's worth, I found the movie interesting enough, despite an intentionally slow pace and meandering point-of-view. For all intents and purposes, the plot doesn't even kick in until about halfway through. Prior to that, it feels like you're watching a series of vignettes about a few different groups of people living in rural Quebec in the 1940's. An asbestos mining operation serves as the backdrop and is pretty clearly significant to the movie's point, but you really need some knowledge of Canadian history to understand the connection. I skimmed a few Wikipedia articles after watching the movie, but I suspect the film would have had more impact if I had a more personal connection. We just watched the new Sense8 Christmas Special, and we’re mentioning it because they literally titled the episode “A Christmas Special,” although only about a quarter or so of it was actually set at Christmas. This means I’m not going to synopsize this. 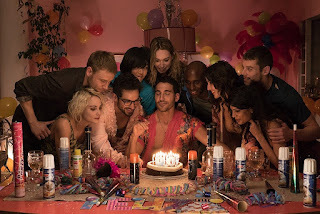 I’ll just give you the premise: Sense8 is about eight people from around the world who are mentally connected. They can share memories, thoughts, and abilities, and other people from various shadowy government/corporate agencies, some with similar powers, are after them. ...I already mentioned the art was pretty, didn't I? Because it is. Really nice fantasy artwork in an large picture book (about 15 inches tall) designed to invoke illuminated manuscripts or something. Pretty. 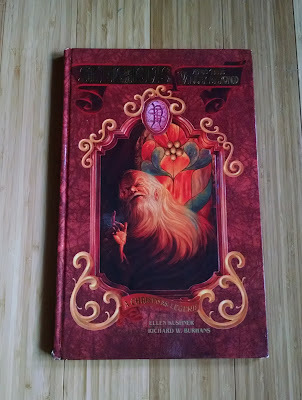 There's also a story inside, written by Ellen Kushner. Once more, the artwork is quite pretty. Ugh. Let's talk plot. There was none, and the art was pretty. Okay, that's an overstatement. There was less than no plot. There was, in fact, negative plot. The story opens with a poor, cold, hungry orphan named Nicholas following mysterious voices that lure him into a magic valley. He finds a party, goes in, magically transforms into a grown man, meets a woman, and gets married. Every year, A Christmas Story is aired non-stop on Christmas Day, despite the fact that it's an over-rated piece of humorless drivel. One of the reasons it's shown is that people continue tuning in, likely because they're unaware there are better options available. This, in turn, incentivizes its continued airing. In an effort to combat this vicious cycle, we here at Mainlining Christmas have generated an alphabetical list of one hundred alternative holiday movies and specials, each vastly superior to A Christmas Story. To be clear, this is not in any way an exhaustive list: there are certainly numerous other options out there far better than the swill that is A Christmas Story. Also, this list can also be used to find alternatives to National Lampoon's Christmas Vacation, Home Alone, and The Santa Clause, as these movies are likewise inferior to each of the movies listed below.